Desmond Dekker is synonymous with the Ska and Rocksteady era. The song that launched his career internationally was Israelites (love this selection!). This song hit the top of the U.K.Singles Chart and was high up on the U.S. Billboard Hot 100 chart. His songs became very popular in Britain in the 60’s including 007 (Shanty Town) and You Can Get It If You Really Want by Jimmy Cliff. Dekker released many recordings throughout his career, achieving more success outside of Jamaica than within. He relocated to Britain and continued giving live performances up until the time of his death in May 2006. Duncans is found in the parish of Trelawny, which is next door to St. James. 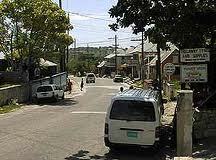 It is the typical quaint Jamaican country town with a main road running through the centre. Duncans holds some good memories for me as it is where Silver Sands (a villa resort community) is located. When I worked in the tourism industry, we used to book tourists for this property. I also spent a few weekends there. Give me a villa experience over a hotel room anytime! Drops: (I’m cheating here, ‘cause the full name is Coconut Drops) are made from Coconut that is cut up and then cooked in sugar, vanilla and spices. When done, they are dropped from a spoon into rough heaps, cooled and devoured. See recipe here. I would like to think that this is something that might have come to us from the Africans who escaped the slave plantations and had to rough it in the highlands, but you know what? I have no proof of that. Maybe I should try and find a Maroon to ask. Link to last year’s A-Z ‘D’ posting. 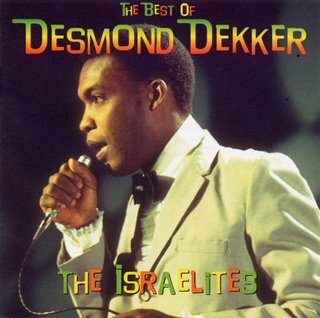 LOVE DESMOND DEKKER! I'd forgotten about him - thanks! I love coconut, so the Drops sound amazing. Thanks for the recipe! I remember when the Israelites was on the radio. I loved that song. Recently I found it on itunes and have it on my ipod. Great post. I just gained a pound staring at the delicious chocolate treat. I love your posts on Jamaica. Having been there only a few months ago, it takes me back. 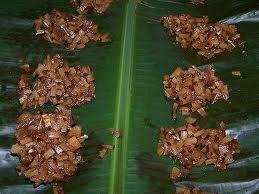 Coconut drops look delicious. Just dropped on the A-Z challenge. Interesting posts. Coconut. Love coconut! I'm learning to use coconut milk and water a lot more in my cooking. Coconut cakes, that's what we call them in the VI. And that song by Desmond Dekker brought back memories. I'm not a big fan of coconut, but I'd like to try those drops. Thanks so much, everybody, for dropping in. I think I've made my way around to all but one. On my way!